It should be a sin to have to write as many papers as I have this week. Go to this if you are in Chicago today. 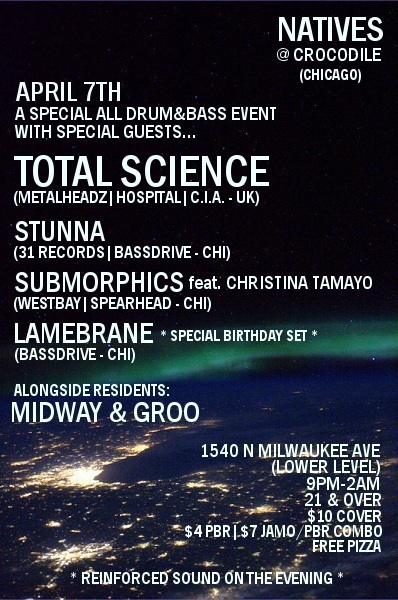 This entry was posted in Drum n Bass, Mixes, Shows and tagged Christina Tamayo, Crocodile, Groo, Lamebrane, Midway, Natives, Next Level Podcast, State of Mind, Stunna, Submorphics, Total Science. Bookmark the permalink.